Dr. Kettner was born and raised in Williams Lake, B.C.. His Bachelor’s degree is in Biology from Walla Walla College, Wa. 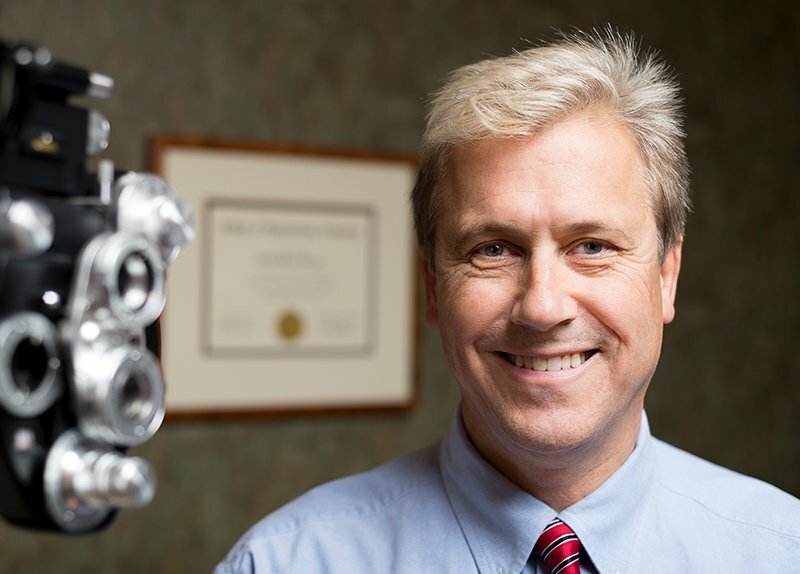 Dr. Kettner studied Optometry at the University of Waterloo in Ontario receiving his Doctor of Optometry degree in 1987. For nine years Dr. Kettner practiced Optometry in Southern California with several busy Ophthalmology Clinics and with a large Optometry group. In 1996 Dr. Kettner returned to B.C. and began practicing in Kelowna. During his time away from the office Dr. Kettner enjoys spending time with his family, hiking, snowboarding, waterskiing and appreciating the abundance of the Okanagan area.